Carole Marsh Mysteries, 9780635023957, 1465pp. When Mimi, Papa, Christina and Grant visit a U.S. Park Ranger friend and her two children, the kids almost immediately embark on a GRAND adventure Join them on an exciting tour--by helicopter, stubborn mule and tipsy-turvy whitewater raft--down the Colorado River through the Grand Canyon Renaissance Learning, Inc now has Accelerated Reader quizzes for all of the Carole Marsh Mysteries To visit their website, click here. Want a sneak preview of this great mystery? 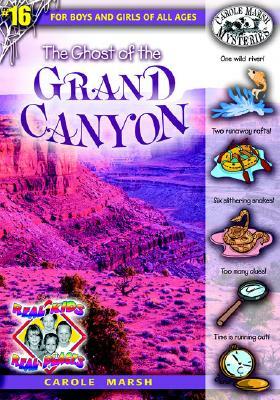 Click HERE to download the first three chapters (approximately 571 KB) The Mystery of the Grand Canyon is recommended by Sylvan Learning's Book Adventure reading program. Book Adventure is a FREE reading motivation program for children in grades K-8. Sylvan Learning is the leading provider of tutoring and supplemental education services to students of all ages.